Rice is the primer food for people in around the world. 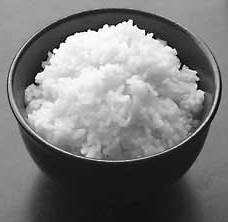 Everyday people consumes white rice for fulfill the needs of carbohydratthat will be concert to be calor and energy. But, researchers from the Harvard University found that eating refined or white rice, will increases the blood sugar levels. The study that was conducted in the U.S. involved over 200,000 Americans, was found that eating 150 gram servings of white rice more than five times a week increased the risk of diabetes by 17 percent compared with people who ate just one serving of rice a month. The study explained that brown rice is healthier than white rice. The consumtion of brown rice can lower the diabetes risk by 16 percent compared to white rice. It is also explained by the fact that brown rice is rich in dietary fiber. Milling of brown rice removes most of its fiber, resulting in higher blood glucose levels. In this case, brown rice is much healthier than white rice when it comes to its fiber content and nutrients, but its storage life is shorter. Bran of the rice grain contains the B vitamins, minerals, fiber and folic acid. 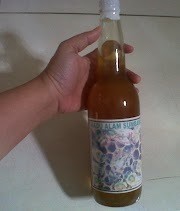 It is also rich in potassium, zinc, cuprum and iodine. It has a mild nut flavor. Brown rice cooks longer than white rice, about 25 minutes.